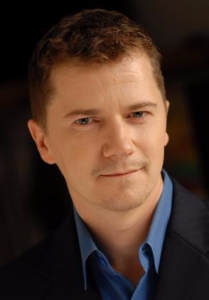 Mike Lemon Casting has been busy with voice-over work the past few months. From radio spots to public address announcers to educational training videos, we’re getting them in! If you are an established voice-over artist or would like to be, now is the time to get your A-game ready. We hope to touch on key ideas that will help you polish your skills for any upcoming voice-over work in this blog. Henry better have practices his audiquette or someone else might get the part. So how does one make it in the field of voice-overs? We thought it would be helpful to get the inside story from an expert – Rich Orlow. Rich has recorded thousands of spots and over 50 audio books, including one for which he won the Golden Earphone award. He was also nominated for a Daytime Emmy for his work as the narrator and all the voices of all the characters of Discovery’s The Icons of Science. 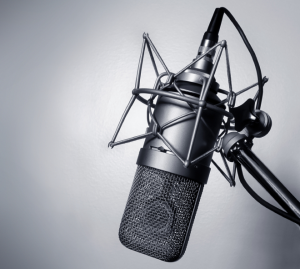 MLC: How did you get started in the voice-over industry? RO: When I was in college majoring in Communications, I got the idea that I wanted to work in cartoons. None of the professors knew how to go about it. So I started out working in radio in Pittsburgh where I met a local voice over artist who told me a little about the voice over business. When I returned to Philly, I took a few classes in it. I had a demo made and sent it around to the local recording studios and casting directors. I received only one bite, but it was a start. The first year I only did one commercial. Slowly but surely work began to trickle in as I proved myself on the job. MLC: Did you have any voice training prior to that? And do you recommend taking classes? RO: Yes. I took several voice-over classes and studied acting. I realized early on that this is a craft that requires a lot of training, so I dedicated myself to getting better. MLC: How many voice overs do you do a year and can anyone make a living off of it? RO: I’m honestly not sure how many voice overs I do a year, but I have carved out a nice living. I work in both Philadelphia and New York doing commercials, narration, promos, politicals, recorded books, video games and animation. As far as can anyone make a living at it, no. It is a very competitive business. That being said, all types of voices are represented and more and more companies are looking for a “real person” sound rather than the old announcer. This has opened doors for a much broader array of voices than before. MLC: Do you have a home-studio? If so, what kind of equipment would you recommend if someone wanted to construct one of their own? RO: Yes, I have a home studio. I invested in having quality equipment so that anything I record is broadcast ready. I have a Neumann mic, pro tools, John Hardy preamp and a space that is nicely soundproofed. I still prefer to go to the professional recording studios, as I am not nor do I want to be an audio engineer. However, it is great for auditions and for the recordings for clients. My recommendation is to spend the money and get a decent studio. You don’t have to go crazy at first but don’t use some cheap USB mic on your table top. If it sounds unprofessional and low quality, the listener assumes you aren’t a pro. MLC: Have you noticed any changes in the landscape or new opportunities in the voice-over industry due to new technology? RO: There have been a lot of changes in the business – some for the better, some for the worse. There are more opportunities to find work, like voice over casting sites and the ability to connect with potential clients anywhere in the world. Also, with the increase in TV channels, YouTube advertising, and millions of internet sites looking for voices, there are more opportunities. On the downside, it seems that anyone with a mic thinks they can be a voice-over artist. Some of these people are willing to practically give their services away for next to nothing which lowers the pay standards. MLC: Any words of wisdom that you would like to impart to the beginning voice-over artist? RO: My advice to any beginner is to realize that this is an incredibly competitive business. You need to do everything you can to improve because you are competing against people who do it every day. That means one eight week class is not going to make you ready to go out and work. Train for a while. Does it cost money? Yes. You are investing in yourself as a business. If you were studying guitar, you wouldn’t assume that eight weeks would do it. Also learn to act. Take improv classes. I studied acting and took classes for more than ten straight years! And even today I will take a class to brush up, because the trends are always changing. Finally, never fast forward through commercials when watching TV. Listen to them. They are the pros. Figure out your type and embrace it. How many actors who take your breath away, don’t, themselves, know how to breathe professionally? Breath is fundamental to voice and speech production. Breath control is essential to creating your character and to inspiring those who listen to you. Indeed, for some aspiring actors, their breath fails them and the words don’t even reach Row Three. Those who have come to enjoy your art are left to whisper: What did he/she say? What was that? In 2015, learn how to breathe…. It will change the way you sound. It will change the way you look and move and deliver your words — your distilled interpretation to your role. Breathing and phrasing work together to parse out your character’s message. Facts on Function: Females tend to breathe to the upper chest when we are not at rest, e.g., speaking, standing, walking, etc. That rib or “costal” respiratory pattern makes us feel short of breath especially when we are under stress. Males tend to be better breathers, but too many of you breathe to the mid-chest which is wrong and limiting. An actor is a master communicator — a man or woman who feels life keenly and deeply and whose desire and purpose is to excite, motivate, and manipulate an audience toward an experience. Develop your breathing skill, and you will have the power to support your message however it needs to flow, endure, project, nuance, abuse or caress the ears of your listeners. Congrats to all of the actors booked on the national commercial for Brunswick XL that shot the end of last year! We also wrapped the year with numerous healthcare print and industrial work, car commercials, plastic surgery commercials and over half a dozen voice-overs! Great job everyone! Please remember to keep your portfolios current with updated headshots, resumes and contact info. Special Note: We are expanding into the New York market for 2015 and are having a series of Open Calls! Stay tuned for exciting new projects in New York! 5. Follow the instructions on the VIEW EVENT page to submit. As always, we will go through the primary agent listed in your contact info if you are booked for a job. We encourage you to check the database often for new jobs. If you have topics you’d like covered in a future news update or blog, please email: support@mikelemoncasting.com. Follow us on Facebook and Twitter for the latest news on castings, classes & upcoming events at Mike Lemon Casting.